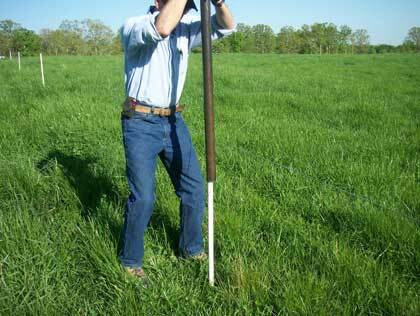 PasturePro posts are simple and easy to install. Just drive, drill and attach the wire. 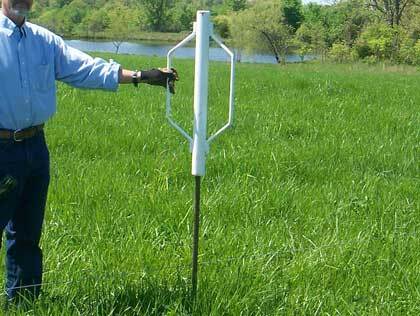 Click here to download the full installation guidelines for PasturePro posts. PasturePro posts are driven with a standard post driver. PasturePro posts are driven with a manual post driver, just like those used for driving steel t-posts. In rocky or compacted soils, a pilot driver is recommended. Give us a call at 1-800-563-6771 M-F 8:30am-4:30pm CT to speak with a PasturePro field representative.